From warrior to romance. 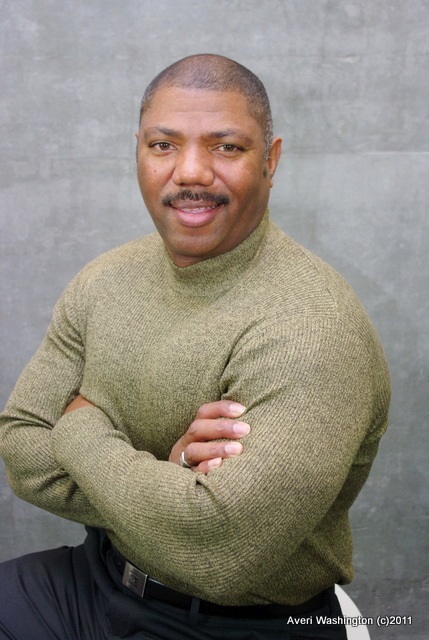 Lonz Cook is a Marine Corps veteran of 20 years and the author of numerous romance novels. He’s a screen writer, an Adjunct Professor of Management, and a technology specialists. BPM: Tell us about your most recent work? Is this book available on Nook and Kindle? Online dating is how a large number of people find their mates these days. It’s like a phenomenon on how different things happen on a social basis. Rarely are people introduced in person or found by attending a club or function as the major means of meeting. 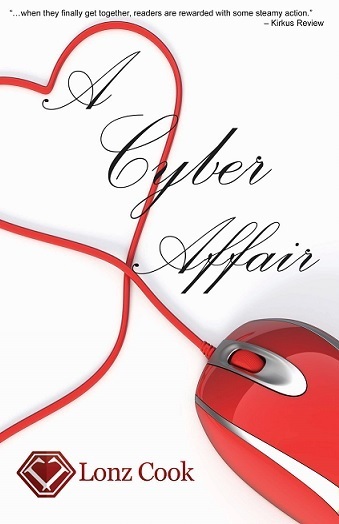 A Cyber Affair is a story of two people who find each other online, and begin the process of dating. How they share their journey is the story. One thing I love about Tiffany and Manny is they are real people. You know, your neighbor, a friend of a friend, or simply a person you work with. Tiffany isn’t a beauty queen though she is attractive and Manny isn’t the typical obnoxious millionaire with a garage of boy toys to impress. These are common day to day middle-class people. These characters have normal problems like dealing with divorce or working to recreate family connections. Tiffany is divorced and strict about her dating selection, working a real 9-5 and minding her business at exploring dating websites with a purpose. Manny is a retired Navy Chief Petty Officer, rebuilding a relationship with his daughter and going through career withdrawals while defining his future. He’s the reflection of a high intense career to the mundane factory day to day job. Online dating is a real situation where people are taking a chance with cyber space reality. I spoke to a number of people who experienced the good, bad, and ugly with online dating. The inspiration came as I heard stories of success and wondered how they arrived to make all the decisions to become united with a new mate. When I explored online dating, words simply jumped onto the page and before long there was a story worth telling. Online dating is relevant more so than attending a jazz festival in Spring. It’s the way of change and since so many are personally involved, it captures a part of our social behavior. Showing the relevance of online interactions was one of the most enjoyable things I created with this book. Social media is our major means of maintaining relationships or creating friendships and opportunities for love. In the process of staying connected, I too ventured with curiosity onto dating sites, simply to answer a lot of questions with my friends and provide accuracy in writing this novel. What I have learned online is amazing and having experienced the multitude of behaviors ranging from abnormal to shocking was eye opening. And I mean shocking!!! I had to share the extremes. I get ideas from observing people and their behavior. Or I get ideas from a conversation where a situation portrays the best scenario for a good realistic story. You know, like mother-daughter relationships where there is a hate-love vibe between them. Or how love prevails after years of separation because of distance or illness. Or how a married couple rarely converses at dinner in a restaurant and have levels of contentment ooze through their body language. These concepts are character driven because there’s a lot of stories based on behaviors and my mind to create unique situations. What if scenarios that seem like reality. There are times I create a plot simply to make the characters come alive. I do this because it’s about behavior in situations. I love to write common behavior where they address issues based on reality, especially where the heart is concerned. BPM: Are there under-represented groups or ideas featured in your book? In this particular novel, A Cyber Affair, I’d say yes to under-represented groups. We, as a people, aren’t aware of the hardships a military person endures with family. The servicemen and women often fail at marriage and parenting because of deployments or operational commitments. These conversations aren’t common to the general public. What most see on the surface is the tip of the iceberg when it comes to the challenges servicemen face between career and family. Second I’d say under-represented are the military kids who deal with battling parents. Or should I say the child who loves both parents but caught in the middle? In this novel, you’ll find Suzie, Manny’s daughter doing her best to support her father and enjoy their relationship, in spite of mom. Since I’m a romance writer, every page is part of me in a sense. I practice what I write to ensure the story has a realistic accuracy that pulls readers into scenes. I travel to various locations to give readers the feeling of being in the room or venue because I describe the environment well enough for the imagery to match. Being a retired Marine, I saw the deployment cringe where marriages fought a good fight but didn’t have the endurance to win. I write about behavior and since I’m observant on all levels, I tend to keep the journey realistic. I’m a writer and writing is my first love and food for my spirit. The education about online dating is amazing. I had heard of the term Catfish but never really understood it’s meaning. But with the depth of deception a number of people doing, it’s pretty concerning. This is where I had learned that a lot of people are not being themselves. And it’s both genders. Second, I used a different technique while maintaining my voice. I typically have a lot of things moving outside of the antagonist and protagonist. But this time, I wrote with minimal secondary stories. I was more specific to the two major characters’ views. This is a difficult question but I’ll do my best to answer without embarrassing a new friend or contact. I talked to a friend who met her lover online and when they finally met in person she ran. I mean physically ran because through all of the online video chats, she never saw his height. His being tall turned her off. In her words, she had perceptions of size being a serious matter and it scared the life out of her. I talked to another lady who got engaged over the internet. I mean literally accepted the commitment. I asked her how and she answered that the connection between them was amazing. She never saw him, outside of pictures, no video calls, no cell phone calls, they simply shared hours of chatting online. She took this engagement very seriously and before she sent thousands of dollars, she asked someone to validate his story. She had a divine intervention because she found out the true meaning of a catfish first hand. Her story was amazing at how she kept accepting excuses based on her need. A dangerously developed behavior for some women. Since A Cyber Affair is relevant to current dating, and the way our social changes have been modified in finding a mate, I expect this novel to make a difference. I want people to pay attention to prospects with online dating. My expectation is this book aids in showing how two people can meet and date while being entertainment and become an enjoyable conversation piece. Will it become a bestseller? I can’t honestly say it will, however, it’s always a dream to have one. A Cyber Affair has a back story character that took a life of its own. I’m currently working on a story titled, A Loss Too Great, which is a spinoff. Also, I’m editing the sequel to When Love Evolves, one of the Sisters and Romance box sets. This should be out either in the fall or early winter of 2017. Find me at http://www.LonzCook.net, WarriortoRomance on Facebook, Lonzcook on Twitter, Lonzcook on WordPress, Lonzcook on Periscope and Lonzcook on Pinterest and Instagram. Tiffany Wilkes, “SanFran Pearl,” spends hours on dating websites. She’s tired of guys who can’t charm the lid off of a garbage can and sick of God awful blind dates, and mindless encounters. Meeting men at work is a competition and a risk of breaking a dating policy that results in termination. SanFran Pearl searches for a local suitor interested in a meaningful relationship. Her humorous approach wins a positive response but the connection wanes to disappointment. When SanFran Pearl receives an interesting email from “Lost Sailor,” Manny Perez – a Navy retiree near Miami, her spirit of chance shoots to the stars. Instead of her typical approach, she’s googling for a background check that’s best suited for the FBI. Is Lost Sailor a catfish or the catch of the century? OMG! What the hell am I doing? Tiffany frowned as she sat amongst the passengers waiting for her flight to Las Vegas. She glanced around the terminal, hopeful that someone would read her mind and give her some direction. The gate attendant announced her boarding section. Tiffany rose from her seat, edged through the crowd with her laptop backpack, pulling her carry-on, and got in line. She held her ticket while she moved closer to the gate agent. Why am I doing this? she thought while watching eager passengers in front of her hand over their tickets and walk through the door. She stepped to the gate, ticket in hand, and stared. The agent reached for the boarding pass, slid it from her fingers, and scanned it on his machine. “Is this your first flight?” asked the agent. “Don’t worry; no one cares what you do in Vegas.” He smiled and returned her ticket. “I hope he cares,” Tiffany mumbled as she walked through the door. Suddenly the gangway darkened, black as a moonless night. Her hand became moist. The carry-on didn’t seem to cooperate. It was as if something was trying to deter her from boarding the flight. Tiffany yanked her carry-on, finally won its cooperation and walked down the center of the tunnel. The passenger in front of her disappeared into its darkness and conversations behind her went silent. She saw a dim light appear as though the gangway had become a path of torture. Suddenly a bright light near the cabin door led her, as if directing her feet one after the other, deeper into the passageway. She pulled the carry-on and took each step carefully. Her heart pumped like a car engine on a race track. Tiffany walked slower, as if her hesitation could delay the plane’s take off. With each step, she heard warning bells. “Miss, are you okay?” A fellow passenger’s voice broke her trance. “Ah, I think so,” Tiffany kept her eyes forward. She saw the fully lit tunnel for the first time, the door to the airplane now directly in front of her. She entered the aircraft with her carry-on in tow. “Hi, welcome aboard,” the flight attendant greeted her. “Hi.” Tiffany smiled and turned right to walk through the economy class section. She looked at the seating chart and glanced at her ticket. “Seat 21C,” she read, and walked towards the rear of the plane. Tiffany glanced at the row numbers – 8…9…10… moving further back 19…20… “Excuse me,” she said to her seating companion. “Sure, no problem,” He rose from the seat and moved aside. Tiffany lifted her carry-on, grabbed her backpack, and slid through the tight aisle. As soon as she cleared the first seat, the guy moved right in behind her. “I’m sorry.” Tiffany looked behind her while dropping her backpack on the floor. “No problem. I was expecting you,” he smiled. Tiffany pushed her backpack under the seat in front of her, grabbed her seatbelt, and buckled up for the flight. She watched passengers boarding and averted her gaze to look out of the window. Anxiously, she glanced at her watch while butterflies fluttered through her stomach. The idea of having a last chance to escape the unknown tampered with her mind. She watched other passengers board and thought I can get off the plane right after that guy sits down. The gentleman sat, but before she could move, the flight’s lead attendant announced, “Prepare the cabin for takeoff, cross check and all call.” Passengers were instructed to secure electronics and buckle down for the flight. When the cabin door slammed shut, Tiffany realized that it was too late to run. Tiffany Miles was the only child of strict parents. She wasn’t part of a popular crowd in high school, but she loved her circle of friends. Tiffany was average in size and cute, with unique features: curly black hair, a straight nose, and oval brown eyes. She hadn’t received much male attention in high school, but when she did date, her parents selected young men from among their church friends. She rarely disagreed with the guys her mom and dad selected for her. The few times she went against their guidance, all hell broke loose and her parents would tighten their control. Tiffany tried her hand at dating in college. She moved into the campus dorm and there found new freedom to date and explore as she pleased. What she didn’t know about dating men became a substantial lesson in reality during that first semester. Some men take advantage of naive girls. She accepted every offer to go on a date from any man who asked. Tiffany was sensual with some and enjoyed the physical desires of others. She didn’t know what not to do. Her roommate took notice and reeled her in, explaining the differences between dating and being used. Her roommate also started checking out her dates, showing up on occasion to see if Tiffany was following her advice. © 2016 All rights reserved. Book excerpt reprinted by permission of the author, Lonz Cook. Do not reproduce, copy or use without the author’s written permission. This excerpt is used for promotional purposes only.